Our popular ultra heavy duty saucers work well inside or out. These injection molded saucers are durable and meant for reuse. Specialized bottom design creates an air gap between the saucer and the surface to avoid water spots on decks and other surfaces. 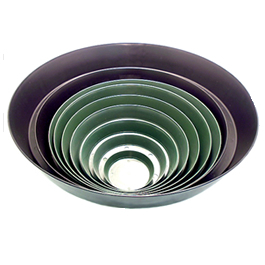 Saucers are available in 4” up to 25” diameter to accommodate most pots and barrels.